Newly Renovated, Celebrating our 80th Year!! 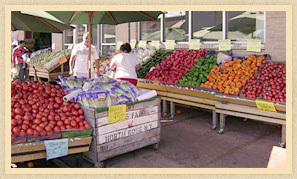 Farm fresh fruits, vegetables and other produce is waiting for you at the Paterson Farmers Market in Paterson, NJ. 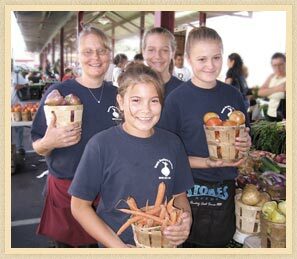 For 80 years, people have enjoyed shopping at Paterson Farmers Market where they find a wide selection of healthy and great tasting produce direct from Garden State farmers and other vendors while enjoying lower prices than typically found at supermarkets. The market is centrally located, easy to find, has ample off street parking and is open year round! Farmers arrive seasonally with fresh local produce. A recent $2.14 million recent facelift rejevunated the Market as it remains a bustling marketplace even today. The longevity of the Market shows that city residents embrace the value, convenience and freshness found at Paterson Farmers Market. We hope to see you soon! © 2007 Paterson Farmers Market, All rights reserved. WebTek Web Design.